Squire Patton Boggs has hired Haig Oghigian as the head of its international arbitration practice in Tokyo from K&L Gates, where he led the commercial disputes practice. A former co-chairman of Baker & McKenzie’s litigation and dispute resolution practice, Oghigian has served as counsel and arbitrator in over 100 matters including those related to M&A, joint ventures, licence and distribution agreements and market entry compliance and regulatory issues. He is a member of a number of international arbitration institutions, including the International Cour of Arbitration (ICC), Hong Kong International Arbitration Center (HKIAC) and Singapore International Arbitration Centre (SIAC). 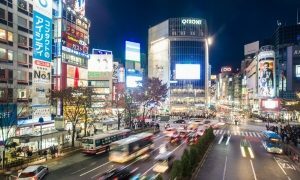 Oghigian is the second senior appointment to be made by the firm in Tokyo recently, following the hire of Scott Warren as a cybersecurity partner in July. Warren was a former general counsel for Sega and senior attorney at Microsoft Japan.